Since I'm a stay-at-home-mom, it's my job to ensure Scarlett learns as much as possible. Our days consist of learning through play, and reading educational books. When we do go out, I take her to playgroups or other socialized activities. I try to teach my 14 month old as many things on a daily basis as possible. For months we've been using flashcards that teach the names of animals, colors, and foods. Even though she's too young to verbalize things yet, I know she's retaining the information. The best thing you can do as a parent is to educate your little one. 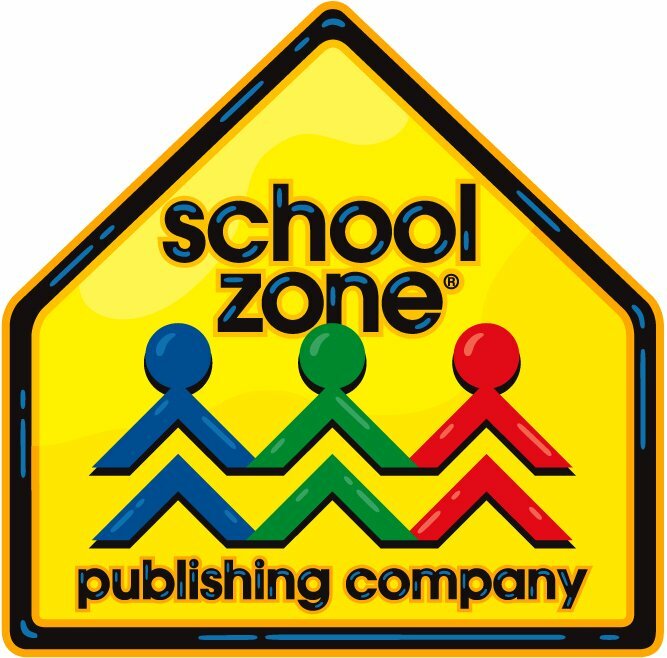 School Zone is your one-stop-shop for all educational and learning materials. You'll be able to browse through categories containing books, music, workbooks, flashcards, learning tablets and much more. School Zone takes pride in helping you have the necessary tools to teach your child. Whether you're looking to have your child brush up on their reading or math, or you homeschool, there's certainly a product for your needs. The minimum age on products is 3 and up, but that doesn't mean that you can't teach a child who is a little younger. A bonus about School Zone's product is that children will learn through fun and play. What child wouldn't enjoy playing a memory match game while simultaneously learning letters and numbers? Head on over to the website today to help your child excel. Scarlett was sent a Little Scholar Tablet with Pink Bumper to help her learn. Even though she's only 14 months old, it's the perfect time to teach her as much as possible. Since she's young and growing, her brain is like a sponge and will soak everything up. The tablet is meant for ages 3-7 and does have some advanced material on it, but we'll start off with the things that are relevant for her like letters, numbers, shapes, and reading. What's fantastic about the tablet is that it will grow with her for many years to come. The tablet is uniquely designed for children in preschool, kindergarten, and first grade. The device is playful, powerful, and packed with learning. The skills that the tablet will teach your child will last them a lifetime. Kids will have a blast mastering math, reading, spelling, and more. The unit comes with over 200 preloaded apps, videos, e-books, and songs. Both parents and children will have fun learning and singing 87 original songs. Scarlett is very into electronics at the moment. We watch educational videos online about shapes and animals to encourage learning, and she's drawn into the lights and colors. I knew having this tablet would be a great tool to help encourage learning. I don't know any child that can resist an electronic device either! I can only teach so much as a parent and it's always nice to have an aid to help you out. What I like about this tablet is that it's ready to use right out of the box. You don't need an internet connection and it's perfect for travel. There's no credit-card or registration required at start-up, no apps to download, no advertisements or pressure to buy more apps, and there's no cartridges to use either. Since you don't need to connect to the internet to use the device, there's no worry about kids accessing questionable content either. Scarlett used the tablet for the first time today and absolutely loved it. As a parent, I liked that the unit had a protective pink bumper which comes in handy. Scarlett's sometimes a little rough with electronics and I'd like to keep it free of damage for as long as possible! It's slim, sleek, and lightweight. The unit requires no startup at all. Just plug it in, turn it on, and you're good to go. From the minute I showed the tablet to her, she was curious and wanted to access all that it had to offer, We started off with content that she's familiar with like numbers and shapes. The colors are crisp and clear, and the sound is perfectly audible. The on-screen characters are fun and engaging. Scarlett and I had a lot of fun with the preloaded apps. We enjoyed the alphabet train app and I explained to her what letter each word began with. She enjoyed pointing to various things that she recognizes. Since she's so young, she won't know the answers herself but you have to start somewhere. There's so much on the tablet that a child will never get bored. We had fun checking out the camera app and taking silly pictures, and also listening to some of the entertaining songs. This tablet will definitely become part of our daily learning curriculum. This tablet will surely be in our family for years and years and Scarlett will love using it. If you have a young child, a tablet from School Zone is an absolute must. *DISCLOSURE* Thank you to School Zone for providing me with a product sample in order to facilitate this post. All thoughts are strictly my own.